Prior to attending ALL 4 PAWS I went to numerous other obedience schools with my two Shepherds. The difference I found between ALL 4 PAWS and the other classes is for the first time I didn't receive a band-aid solution. Sonia takes the time to go over the reason why i had behavioural issues. Even the follow-up service I receive from Sonia is second to none. My two Shepherds since attending are now listening to me more and are so much more relaxed at home than ever before. I feel more confident with the knowledge Sonia has provided me to be a better leader for my two dogs. My advice is to trust and listen to Sonia you won't regret it. Sonia was great, pointed out errors we had not realised our dog Elly was doing that could be managed now before becoming bigger problems in the future. Taught good handling tips and allowed socialisation between all dogs at the end. Thanks. Beginners classes at ALL 4 PAWS were FANTASTIC!. The small groups of 4-5 meant we all got the most out of each class. They were a real confidence booster for me following a nervous start to my journey with a puppy. The classes really focus on the basics with each week recapping the previous weeks lesson so we could consolidate what we had learnt. My favourite part was swapping dogs for one lesson which really tested our handling skills and demonstrated how our ability to train our dogs was improving each week. I highly recommend beginners classes to anyone, thanks Sonia. I’ve had dogs & trained them myself for years. I’ve no formal training but read and watched whatever I could and learnt. I’ve trained a Scotch Collie, Alaskan Malamute, Red Kelpie (working dog), Rottweiler, German Shepherd, Border Collie & Dobermanns. All have been wonderful companions. I thought I was doing okay until I got Cassius, my second black Dobermann but with attitude & anxiety plus that I couldn't get on top of. Loud and no ‘off’ button. He got to 20months & I was at my wits end with this youngster; I’d run out of ideas and needed help. I sought help with Sonia and what a remarkable change her lessons brought about with Cassius. He is so much calmer and more responsive than I thought he’d ever be. The first lot of lessons went so well that we progressed to the advanced course and my husband brought along Caedan (3 ½ yo Red Dobermann) as well. I’ve learnt so much that I can now implement at home and I now enjoy Cassius so much more and he has developed into a much calmer boy. We still need to work on him but at least Sonia has provided the tools I need to get the best out of Cassius & myself. 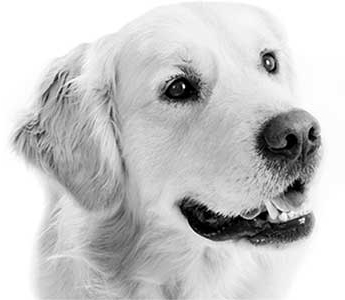 So thank you Sonia and I recommend your classes to everyone as the right place to start for any dog owner to obtain that solid grounding essential to establish a respectful and understanding relationship between dog and owner which equals an obedient dog and an empowered, relaxed owner. Both Suvi and Cody did beginners classes. They both benefited from these classes and there was a noticeable improvement in their behaviour. Sonia taught us how to handle Cody and Suvi and get the best out of them. Suvi went on to do intermediate classes. She loved these sessions and enjoyed learning new things. She now walks well on the lead and sits and comes when instructed. Suvi is now allowed off the lead in our paddock and doesn’t run off or chase the sheep anymore. She responds quickly to our commands. These improvements are down to Sonia, who showed us what we needed to be doing. She explained how many of our behaviours can have a negative impact on our dogs behaviours. She also made me realise how smart Suvi is! Hi, my name is Tess. My husband, Mitch, and I started taking our dog Ruby to classes with Sonia after an incident involving our neighbour’s cat. Ruby is a four year old Kelpie/Staffy and is fairly anxious when we are out and about. She can be quite reactive to other dogs and animals, although she is lovely with people. We really wanted to have more control over her so that we could enjoy taking her out and about, rather than worrying if she would react to dogs. The first lesson Ruby was very reactive and we were, as I put it, out in Siberia so that she wasn’t too close to the other dogs. By the end of the 5 weeks of classes (we missed one week), she is now a completely different dog. We were stationed only a metre or so from other dogs, without reaction, her body language is much more at ease, even happy, and we can walk near other dogs without her even looking at them. She listens to us, she watches us while she walks, not the rest of the world, and she is a brilliant walker now. No more sore shoulders from her pulling all the time. We are so happy that we did classes with Sonia! We have a completely different dog. I’m looking forward to taking her and our other dog Charlie to the intermediate class.